Another risk is privacy issues and the potential for regulation. While consumers are somewhat surprisingly neutral towards regulation, many technology firms see it as inevitable. Shareholder inequality issues are also common among popular technology stocks. If, like Munger, tech stocks are just outside your circle of competence or you are simply concerned about the global growth story, it may be wise to consider defensive positions. 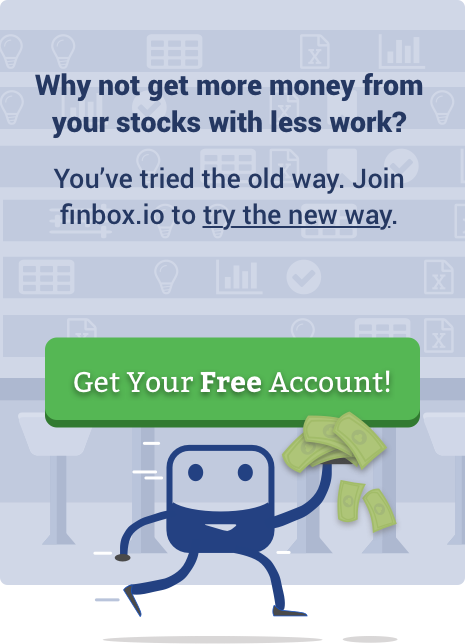 Consumer staple stock Molson Coors Brewing Co (NYSE: TAP) appears to be priced pretty attractively ahead of earnings: finbox.io valuation models show over 35% upside. As such, let’s take a closer look at how the leading brewer’s been performing, its competitive position, and its growth strategies going forward. TAP is the second largest brewer (by volume) in the U.S. with a 25% share. The domestic segment represents 70% of net sales and a majority of TAP’s operating profits. The company boasted a 33% market share in Canada and was the second largest brewer in Europe with a 20% market share. Its International segment includes Latin America, Asia Pacific (Australia, China, India, Japan, and South Korea), and Africa. Net sales increased 2.4% (constant currency basis) in Molson Coors’ fourth quarter due to favorable global pricing and royalty volumes, though volumes decreased 1.1% (weakness in U.S. and International was partially offset by Europe and Canada). Net income improved to $588.1M after its $607.2M loss a year ago. The bottom line benefited from recent U.S. tax reform and favorable stocking performance. EBITDA increased 14.3% (constant currency) and was driven by positive pricing and cost savings, though partially offset by lower volumes, inflation, and global business investment. As the number-two brewer in its U.S., Canada, and U.K. markets, Molson Coors is a leading global player only behind Anheuser Busch Inbev NV (NYSE: BUD). With some of the top brands in each of its markets, Molson Coors has built considerable brand recognition with consumers throughout the world. Its entrenched relationships with distributors and retailers and its greater resources over its smaller peers also provide TAP with competitive advantages. Molson Coors’ established brands, scale, and relationships appear to give the company a significant moat, or competitive advantage, against its competition. Still, smaller brewers, particularly given the craft brewery trend, have made their presence felt. Molson Coors has done well to adjust, however, with its successful craft brand Blue Moon. Tenth and Blake, TAP’s craft and import division, should help growth as it focuses on integrating and expanding recent craft acquisitions. The international business should also add to top-line growth. Though consumer staples can offer protection during market and economic weakness, the protection will only be as good as the price paid for shares. 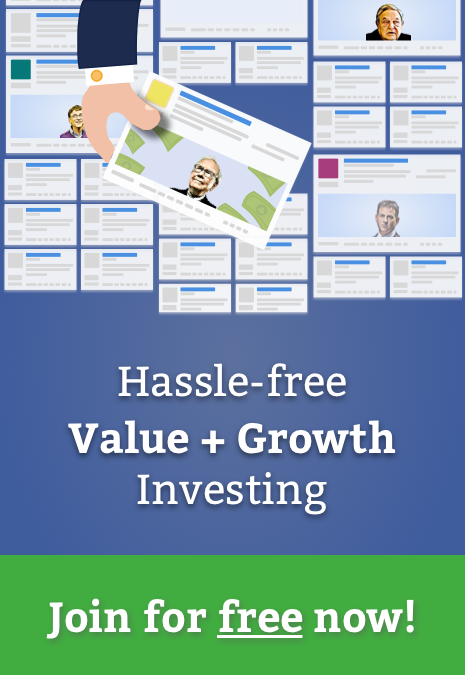 After all, requiring a wide margin of safety is what ultimately protects investors. Fortunately, TAP appears to offer ample cushion for value investors at recent trading levels. Molson Coors also offer additional total return with its 2.2% dividend yield. 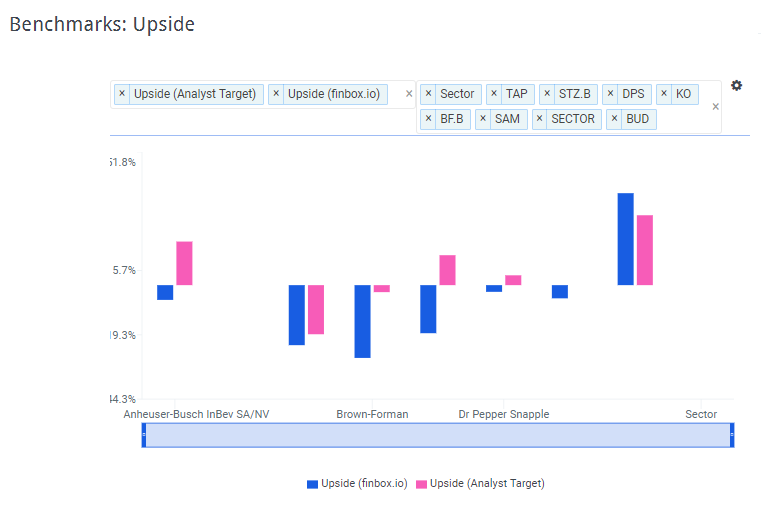 The primary concern for Molson Coors has been the relative volume weakness in its domestic business, given its outsized exposure to that market. Still, its core brands have gained market share and growth from other divisions should help to offset. Increased competitive pressures, commodity pricing, and general macroeconomic weakness also pose risks. While the popularity of craft breweries has been a concern, the company’s own craft offerings have performed well. Investors seeking protection from volatile technology stocks or potential cracks in the global growth story might consider adding defensive positions. Consumer staple and global brewing leader Molson Coors appears to be an attractive option. While TAP’s domestic market has shown volume weakness, brand-loyal customers have allowed TAP to offset with price increases. The company’s craft offerings and international expansion should help the top line over the medium-term as well. 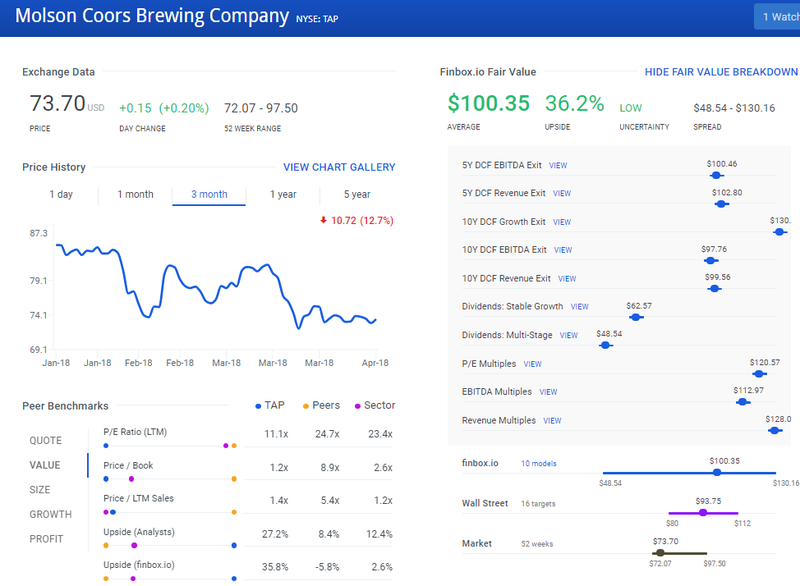 With finbox.io valuations models showing over 35% upside, value investors may want to take a closer look at Molson Coors before earnings early next month.